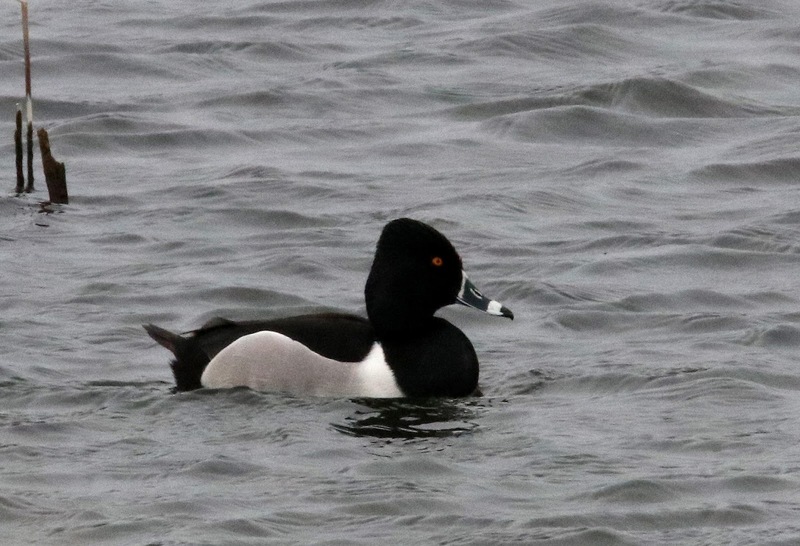 The strong and cold north-easterly wind continued and induced a good variety of ducks and waders to move up channel. A four hour watch produced 23 Teal, 20 Pintails, 42 Shovelers, three Tufted Ducks, 104 Common Scoters, 14 Grey Plovers, 14 Knot, 13 Bar-tailed and five Black-tailed Godwits, a Mediterranean Gull and 104 Sandwich Terns. One of the regular Iceland Gulls was feeding at the Patch and a first-winter Caspian Gull flew west past the fishing boats. The bushes were hard work in the windy conditions but three Firecrests and eight Chiffchaffs were found. 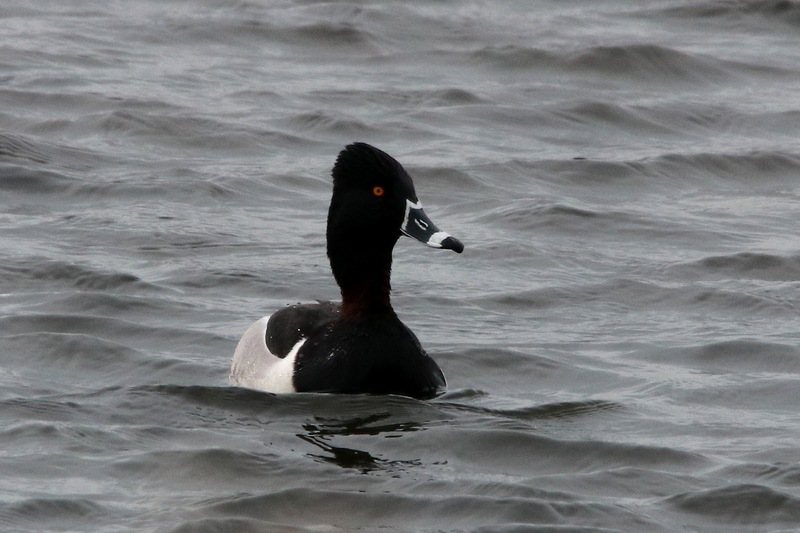 On the Reserve, both the Ring-necked Duck and Hooded Merganser are still present and three Black-necked Grebes and a Slavonian Grebe have been seen on New Diggings. Small numbers of Swallows, Sand Martins and House Martins have been seen over the last two days.